So, its Germany vs Switzerland. Oh, wait. That’s not a match in Round of 16. It was supposed to be that when the draws were made. But then World Cup 2018 happened and the Germans were knocked out in the group stages. Yes. Germany out in the group stages of a World Cup, for the first time since 1938. And who took their place? ZlatanLand, or as mortals call it Sweden. 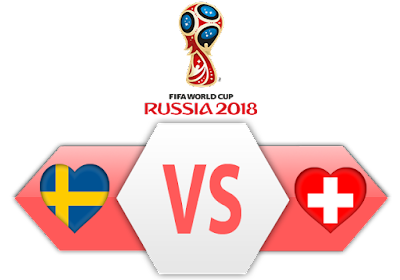 So its Sweden vs Switzerland to fight for a place in the QuarterFinals. Even without their greatest player of all time, the Swedish knights took their moment and owned it. They defeated the best team in Group F, Mexico 3-0 in the last group game and turned the entire group on its head. Everyone expected Mexico to top the group once they shocked Germany in the group opener at the Luzhniki Stadium. But in the last group game. 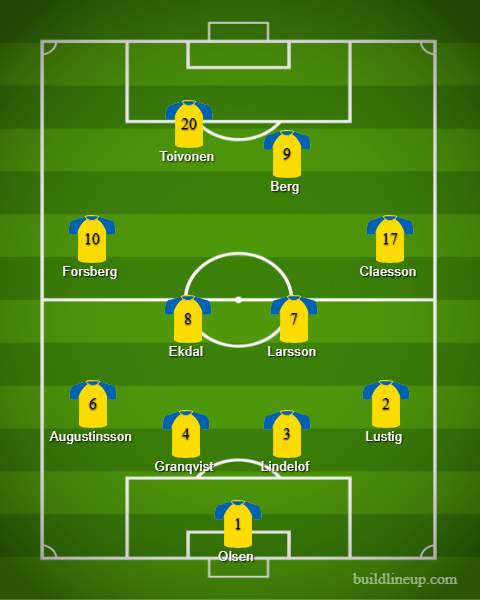 Sweden stuck to their plan by staying solid at the back and first seeing out wave after wave of the Mexican attack. Then they composed themselves, hit Mexico on the counter and on set pieces and confirmed their place in the knock out rounds with a thumping win. In group E, the Swiss started off proceedings by holding off mighty Brazil to a 1-1 draw. Then came the cliffhanger against Serbia. Trailing to an early Mitrovic goal and facing the prospect of early elimination, the Swiss came out all guns blazing in the second half. A thunderbolt from Xhaka calmed the nerves but still, it was advantage Serbia. What followed for next 40 odd minutes was a sensational end to end game with both teams looking for all three points. In the last minute of normal time, Serbia had pushed too many men forward in a search for the winner and paid the ultimate price. A precise through ball sent Shaqiri one on one with the goalkeeper and the Stoke city attacker made no mistake. The peaceful nation of Switzerland erupted in joy. They just needed a draw against Costa Rica which they got and qualified behind Brazil from the group. This game isn’t going to be your end to end stuff. It will be a match where both teams will look to remain solid, see out the early stages of the game and then find a moment of brilliance from their star players to find the back of the net. Forsberg for Sweden and Shaqiri for Switzerland will be expected to carve out opportunities for their respective teams. It is highly likely that this game might go beyond 120 minutes and into the penalty shootout.